If you’ve been around digital marketing for any length of time, you’ve definitely stumbled across Clickfunnels. 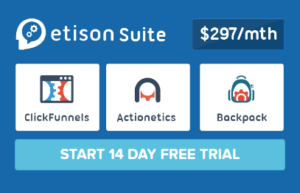 Clickfunnels is the brainchild of internet marketer Russell Brunson and has become one of the largest SaaS (Software as a Service) companies in the marketing space. 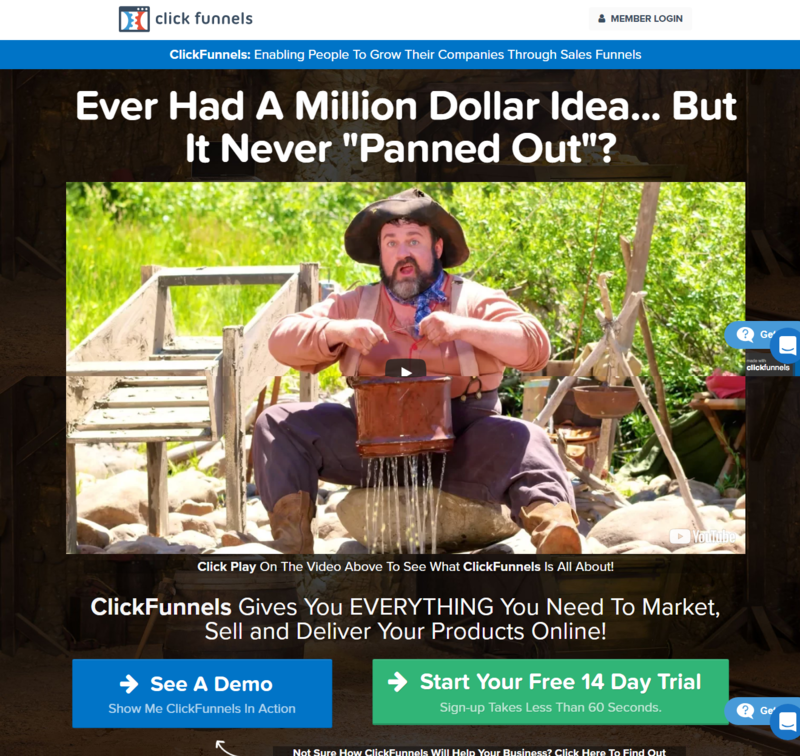 Clickfunnels has developed a cult following that has a raging fan base. There is no shortage of hype in the internet marketing industry but is ClickFunnels really what it’s cracked up to be? 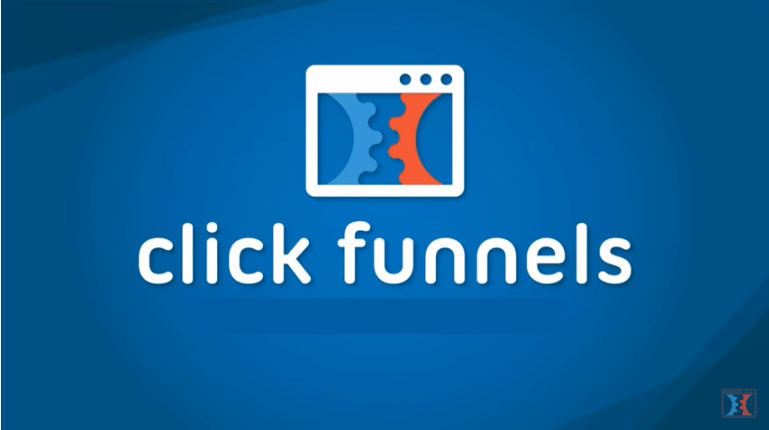 This clickfunnels review will take a deep dive look into Clickfunnels and you’ll learn everything you need to know about the software. ClickFunnels makes it simpler for businesses to sell their products and services with sales funnels. In case you don’t know, an online sales funnel is a series of web pages that are designed to lead the customer through to your ultimate desired result. In most cases this is a sale. As people come to your website (traffic) and interact with your content, they are in the top of your funnel. 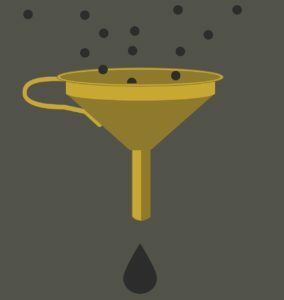 As they download your content and request more information, they move deeper into the funnel and at the bottom (the smallest part) they purchase and come out the other side as a customer. Throughout the process you’ll lose some people in your funnel but that’s how the process works. ClickFunnels makes the process so simple that you can set up a fully-functioning sales funnel in as little as five to ten minutes. Without software like Clickfunnels, you would have to patch together multiple pieces of software and possibly hire a web designer to help you through the process. Russell Brunson, the Founder, has made a very respectable living not only selling ClickFunnels but also by selling other marketing programs and courses using sales funnels. They are also offering free trial for 14 days. One of the biggest selling points of ClickFunnels is that it’s easy to use. But, not only is it easy to set up a funnel, ClickFunnels also offers you extensive customization options. Let’s say that you want to create a basic funnel to collect leads for your service. Once you select your desired outcome (sell your product or service), you’ll name and tag your funnel (for easy identification), and move onto the next step – The opt in page. You’ll be presented with plenty of templates that you can use. The great thing about these templates is that you can edit them easily with the What You See Is What You Get (WYSIWYG) editor. Everything is customizable. Lastly you’ll repeat the same process to create your thank you page. This is a simple two page funnel but with Clickfunnels you can customize your funnel by adding more pages wherever you would like. 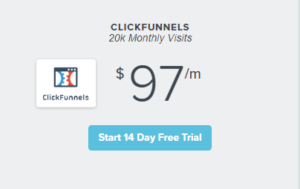 Clickfunnels Enterprise Package review: $297/mo. The Enterprise Package includes everything in the starter package with unlimited funnels, pages, visitors, contacts, and domains. The Enterprise Package also includes Actionetics and Backpack which are two extremely valuable add-ons to the ClickFunnels core software. One of the limitations of online funnels is that they treat (and sell to) everyone who enters them the exact same way. In the real world, we don’t sell to everyone the same way. We tailor our approach based on several different factors including who they are, what their intent is, how deep they are in our funnel, their familiarity with your brand, etc. Why wouldn’t you do the same thing online? Treating everyone the same will lead to underutilized traffic which results in decreased conversions, and ultimately, decreased sales. Actionetics solves this problem by building out detailed profiles on your website visitors. At first this starts with recording their IP address but as they interact with your website and you gather more information, you can get more info on who they are and eventually market to them differently. Building out more personalized follow up sequences will lead to more conversions and increased sales. 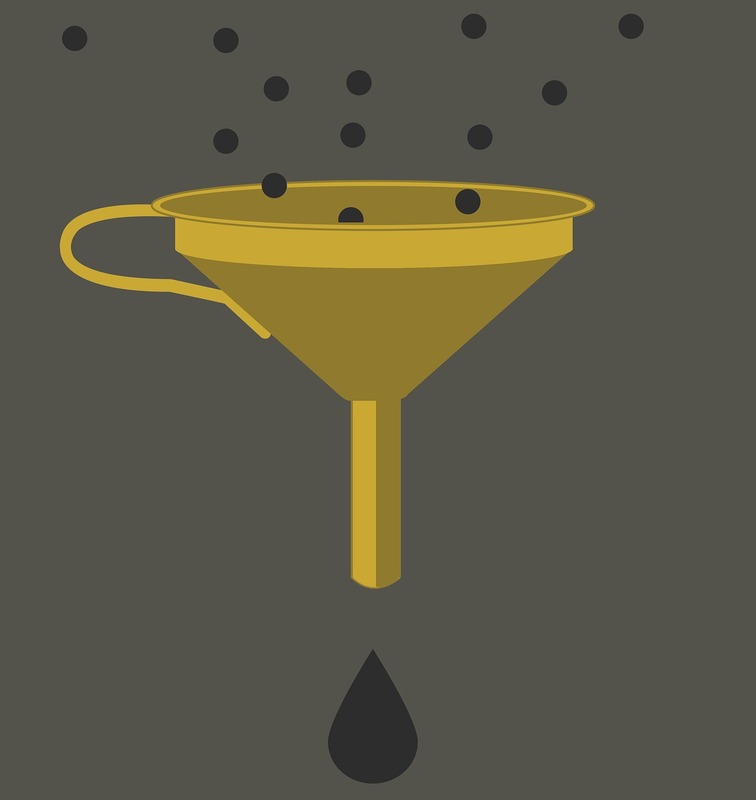 After you’ve built your funnel, you may have had an issue with getting traffic. Affiliate traffic is the best kind of traffic because it’s word of mouth traffic (another person is promoting you to their audience) and you don’t have to pay an affiliate until after they’ve made a sale. Unlike Google and Facebook where you pay for a click (whether that person converts or not), with affiliate traffic you only pay a portion of your sale. So, you’re only breaking off a chunk of the new money that comes into your pocket! If you’ve tried to run an affiliate program before, you know how painful it can be to track multiple affiliates and their sales. Dealing with affiliate software can get very complicated, really quickly. Backpack solves this problem. Backpack allows you to easily track affiliate IDs, sales, commissions, traffic, and more. To incentivize sales you can create tiered commission plans so you can pay affiliates more money as they bring in more sales. A/B Split Testing – A/B split testing is seamless and fairly easy. All you do is pick which page you want to test, duplicate it, make changes, and decide what percentage of traffic you want to send to each page. Grows With You – ClickFunnels can handle everything from a simple two step funnel to a complex multi-million dollar SaaS sales funnel – ike ClickFunnels itself! Works With WordPress – ClickFunnels integrates well with WordPress. Just add the plugin to your WordPress site and you can start adding ClickFunnels pages to your website in no time. Easy Page Builder – ClickFunnels’ drag and drop interface makes it stupid simple to add pages to your funnel. Pricing – At $97/mo. for the Starter Package and $297 for Enterprise this software is definitely an investment in your business. But, with the potential to make 10x, 100x, or more return on your business it’s definitely worth it! Customer Service – Basic customer service is fine but things get limited when you get into advanced territory. UI/UX Changes – The UI/UX of ClickFunnels changes often. This can cause some problems when you’re trying to train staff and systematize your processes. However, ClickFunnels is pretty intuitive software so you shouldn’t ever have too much trouble navigating the software. ClickFunnels’ main competitor is LeadPages. Although they share some the same characteristics, LeadPages is landing page software – focused solely on lead capture and opt-in pages, i.e., the top and middle of the funnel. ClickFunnels is a more robust software that handles the entire sales funnel. When you add in Backpack and Actionetics it raises ClickFunnels even further as an enterprise business platform. There are million dollar businesses that run solely on ClickFunnels and have a lot of positive reviews. However, it depends on what you need for your individual business. If you’re just starting a blog and want to collect email addresses, or you have an ecommerce store and want to add email capture to your business, LeadPages is probably a better choice for you. LeadPages is also less expensive – on $37/mo. Or $25/mo. when you select the annual option. You can also check instapage for free Trial. Overall, ClickFunnels is a solid product that delivers on its promise. If you can look past the cult-like following of ClickFunnels then you’ll be pleasantly surprised with the software. It’s a great fit for almost everyone from the first day newbie all the way up to the grizzled 15 year veteran. 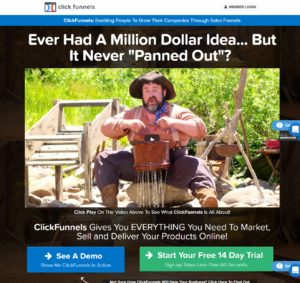 If you try out ClickFunnels, we’re confident that you’ll enjoy the product, and that it will help your business.